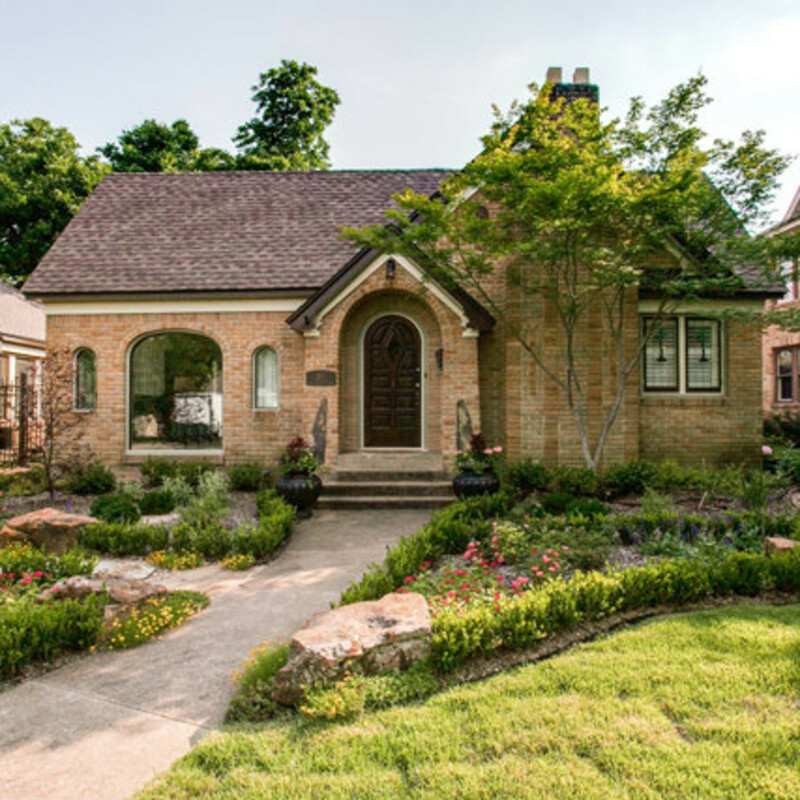 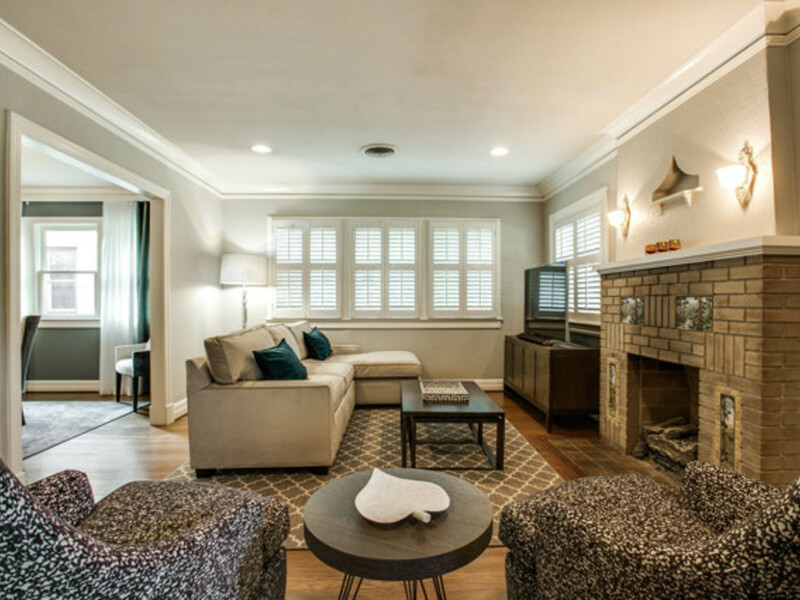 A Dallas Tudor has escaped the fate of so many historic homes thanks to a remodel that blends original features with smart updates. 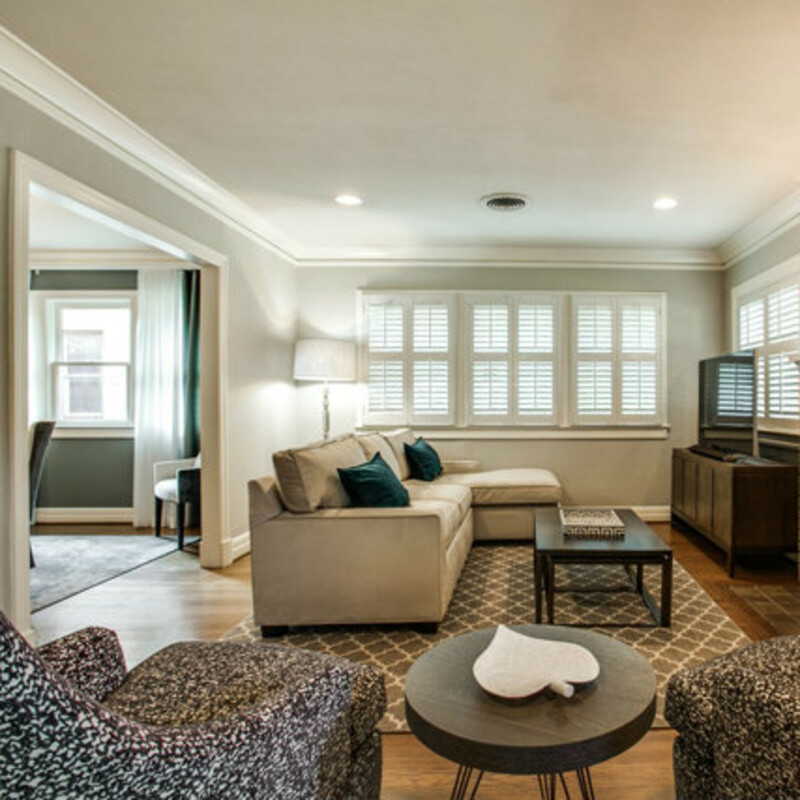 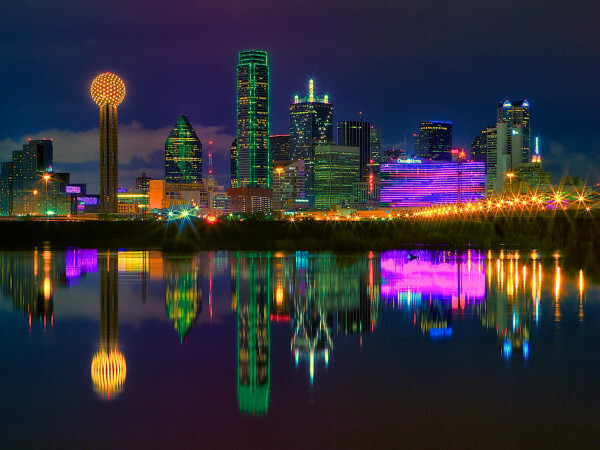 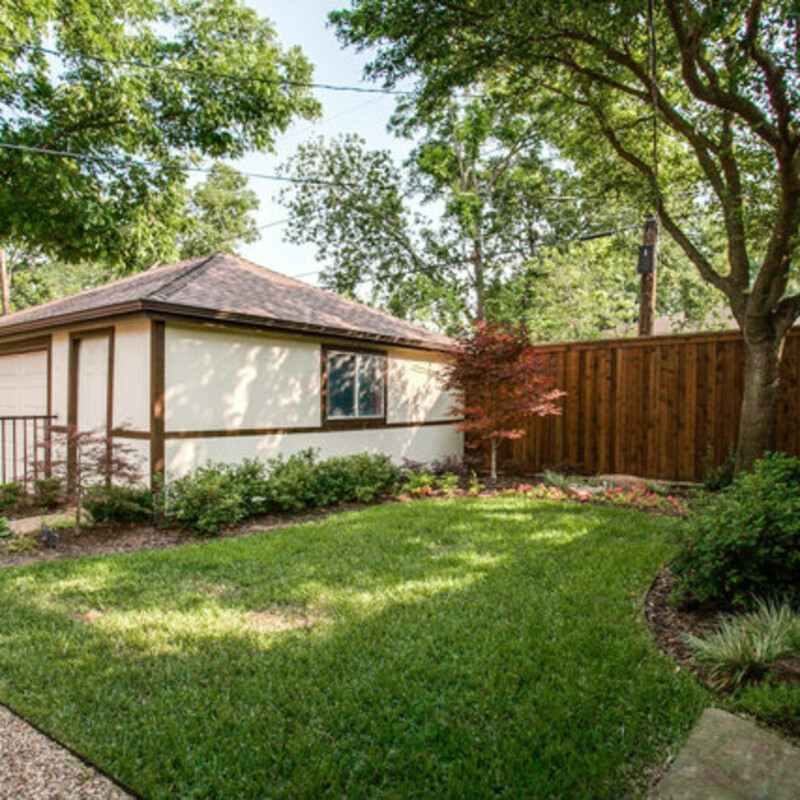 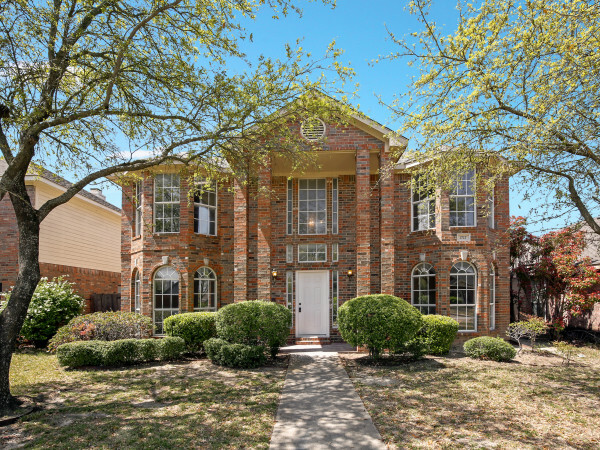 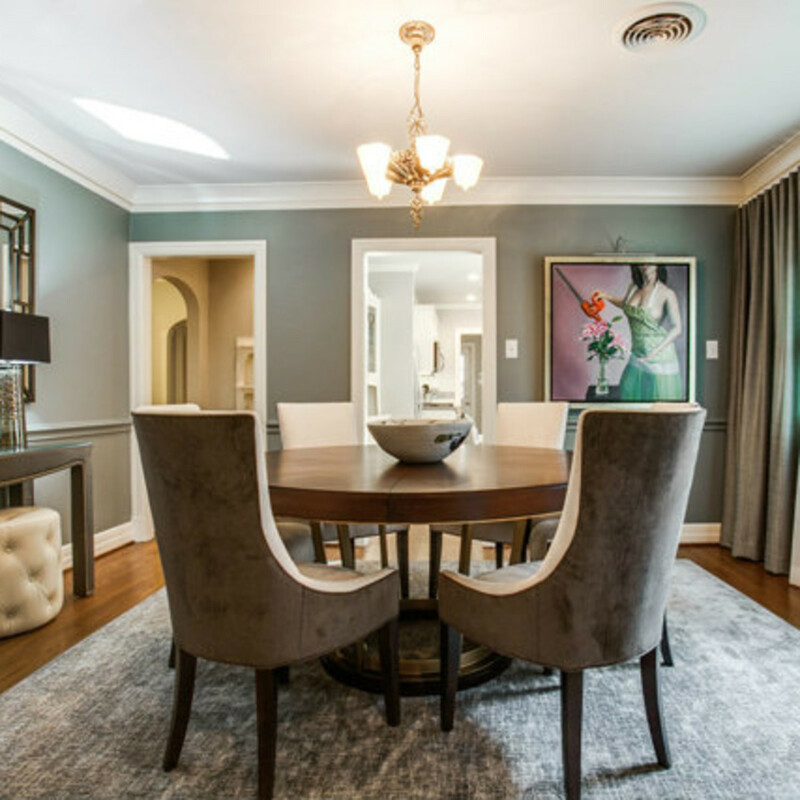 Located at 811 Monte Vista Dr. in Hollywood Heights, the home comes with a price tag of $524,000, listed with Britt Lopez of Dallas City Center Realtors. 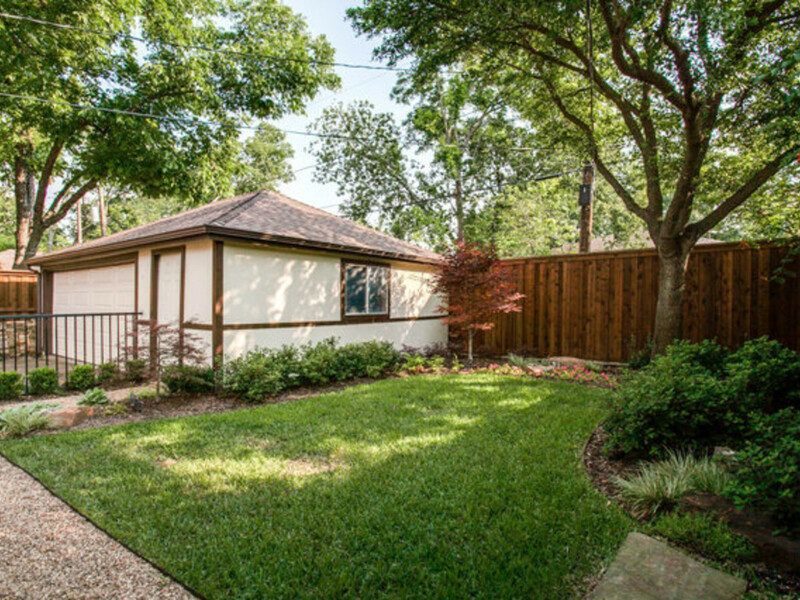 We first spied this beauty on Candy’s Dirt. 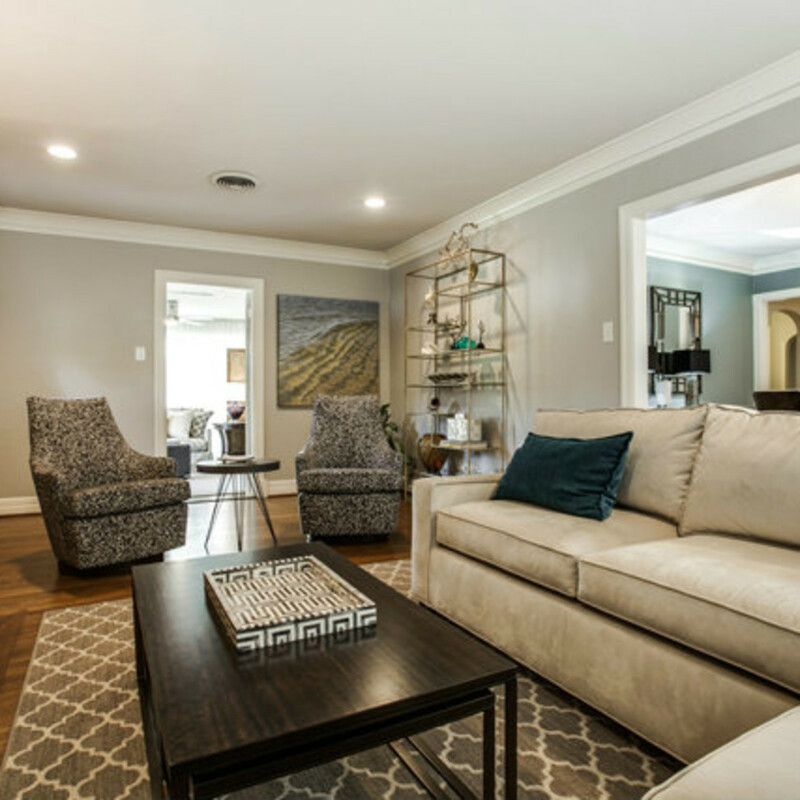 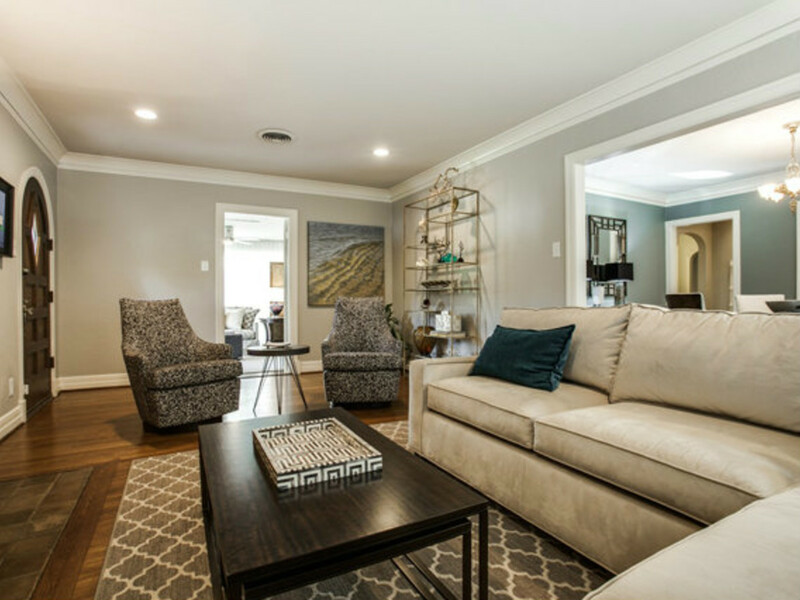 It has 1,889 square feet, three bedrooms and two full baths. 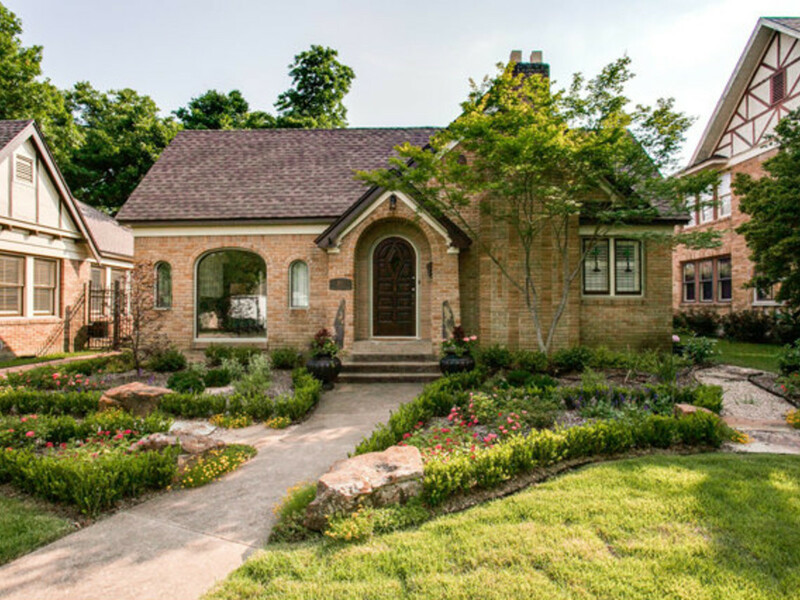 The brick-and-stone facade has been preserved, and thoughtful landscaping, with pops of color, adds to the curb appeal. 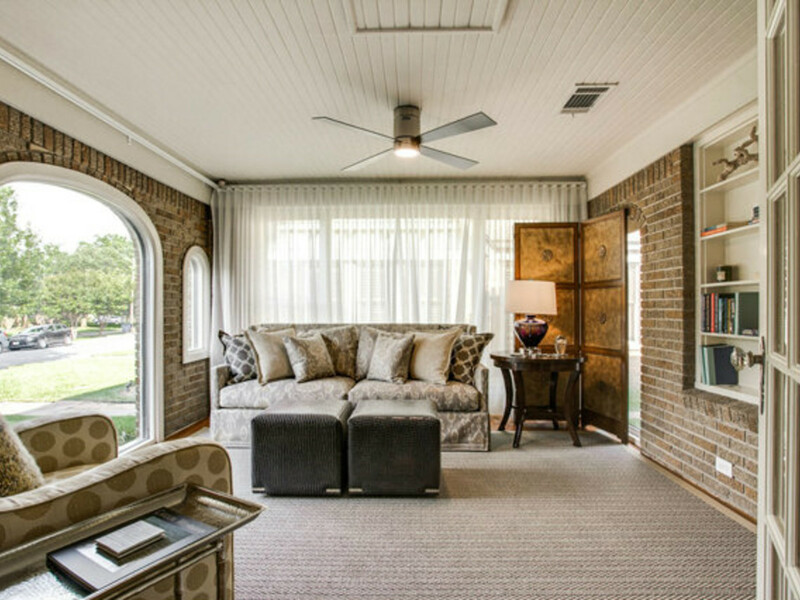 Inside the original features include a Rookwood Pottery fireplace, hardwood floors, sconces and stained glass. 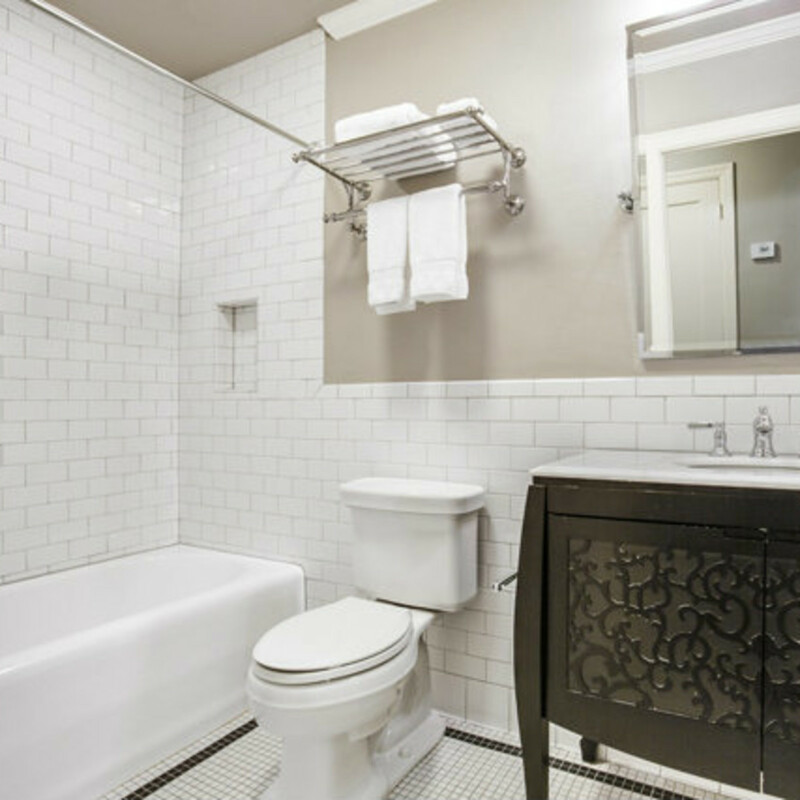 But the kitchen and bathrooms are totally up-to-date. 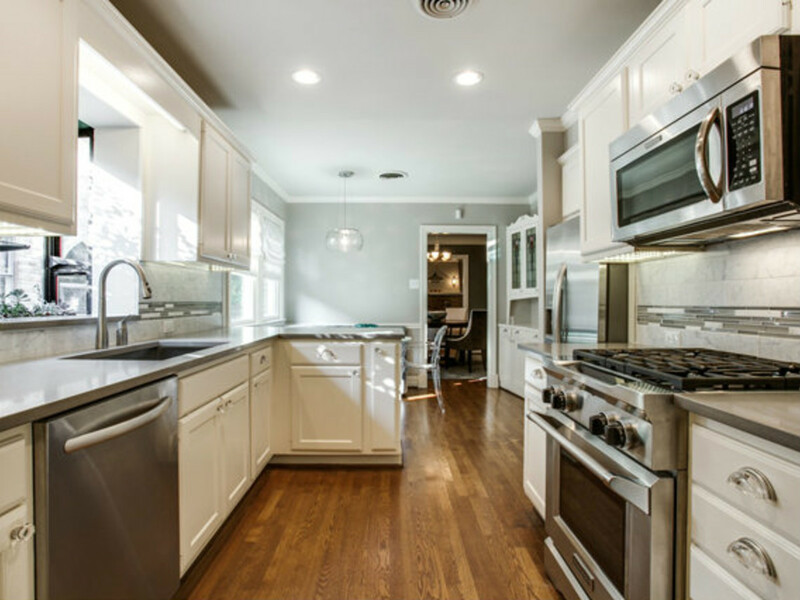 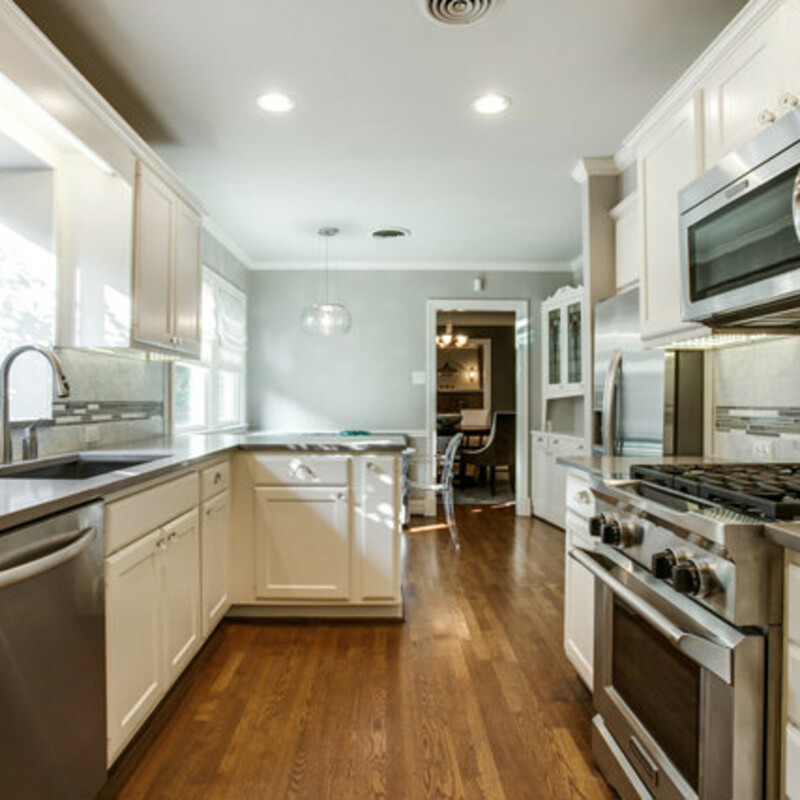 In the kitchen find Caesarstone counters, marble and glass tile backsplash, Kitchen Aid stainless steel appliances, and built-in wine fridge and Miele coffee system. 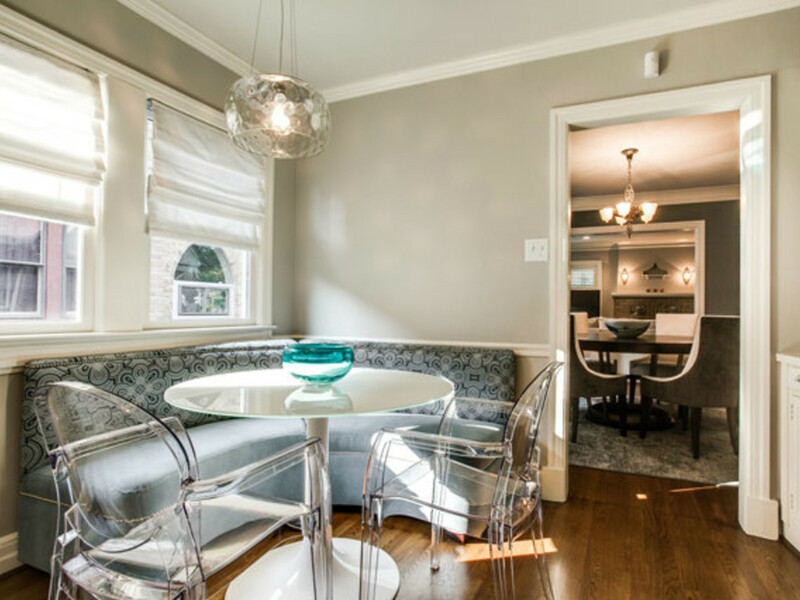 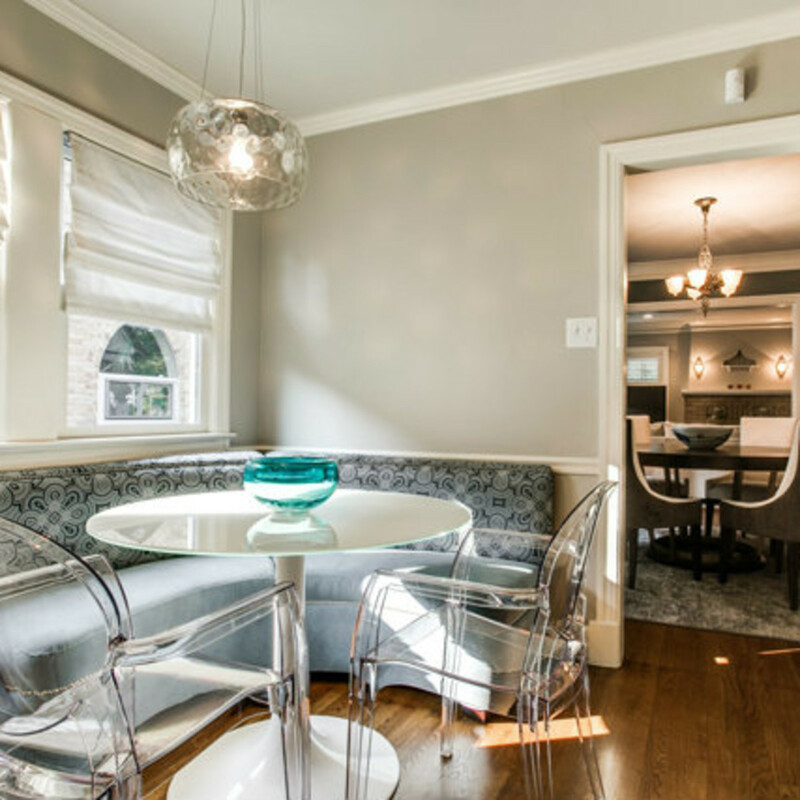 A banquette provides ample seating in the breakfast nook. 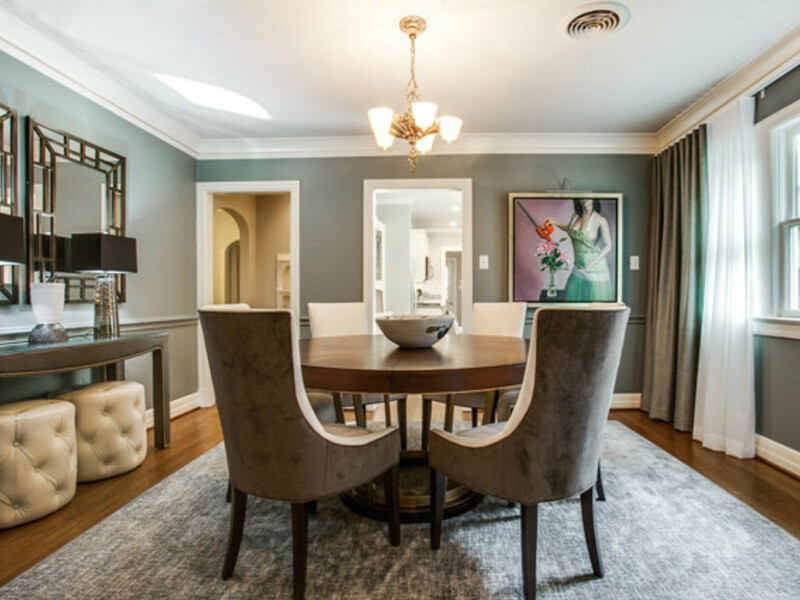 For more formal meals there is a spacious dining room, where a period fixture hangs over the table as a reminder of this home’s 1930 build date. 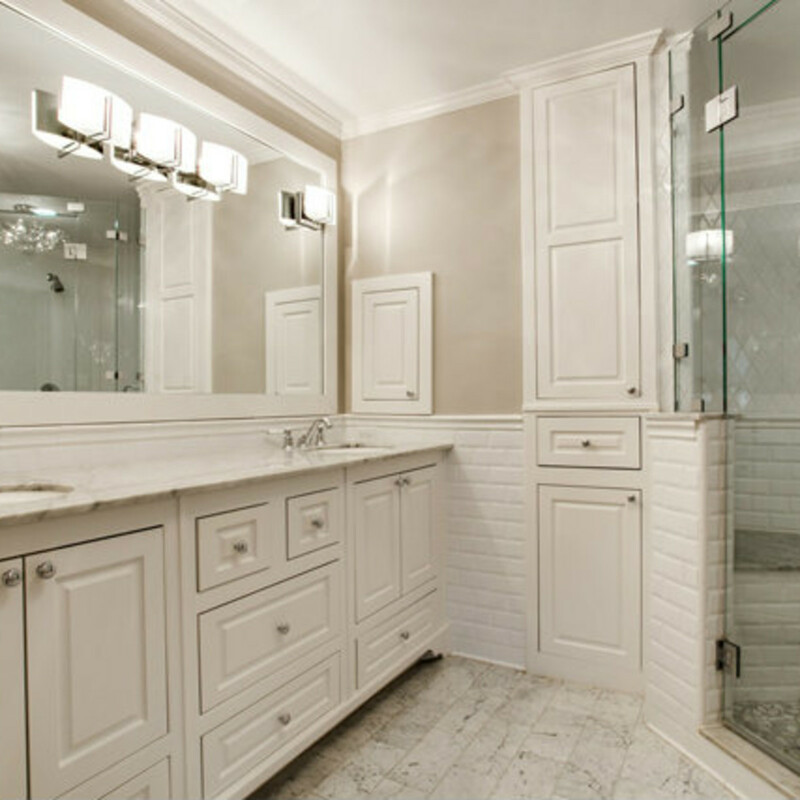 Bathrooms are known to sell houses, and these might do the trick. 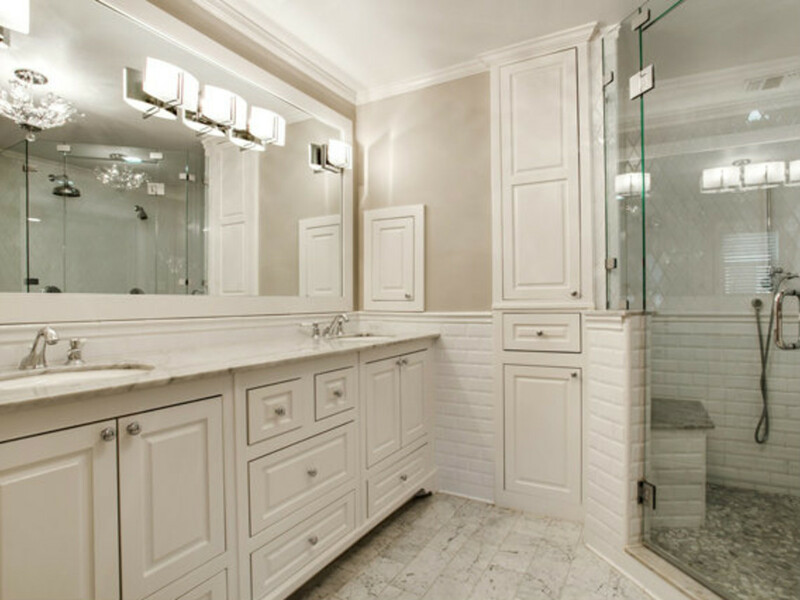 The master bath has white marble tile, double vanity with ample storage and a large walk-in shower with bench. 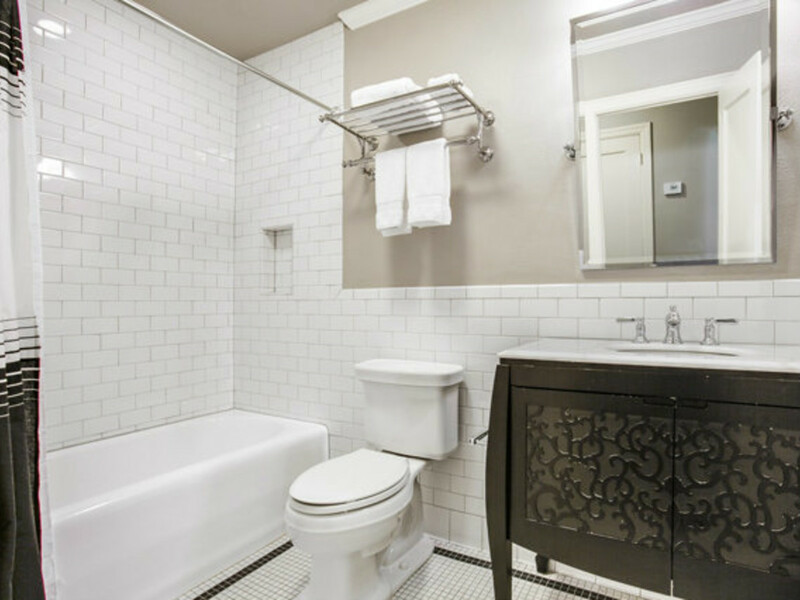 The second bath was renovated just as thoughtfully, with to-the-ceiling white subway tile in the bath and shower surround, antique vanity, and black border on the otherwise white tiled floor. 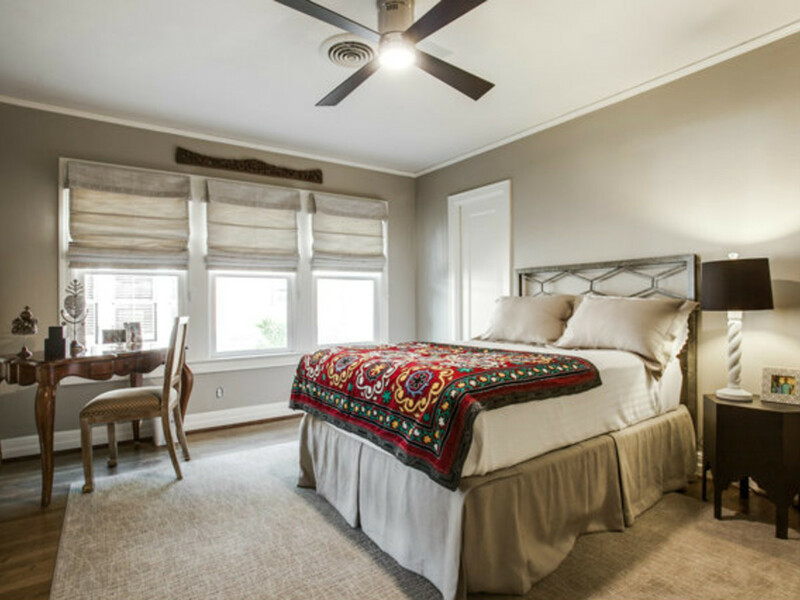 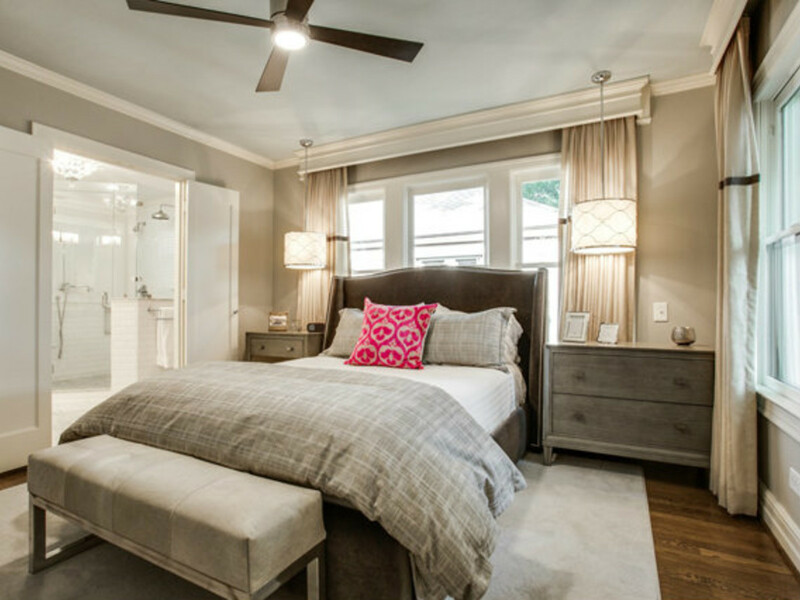 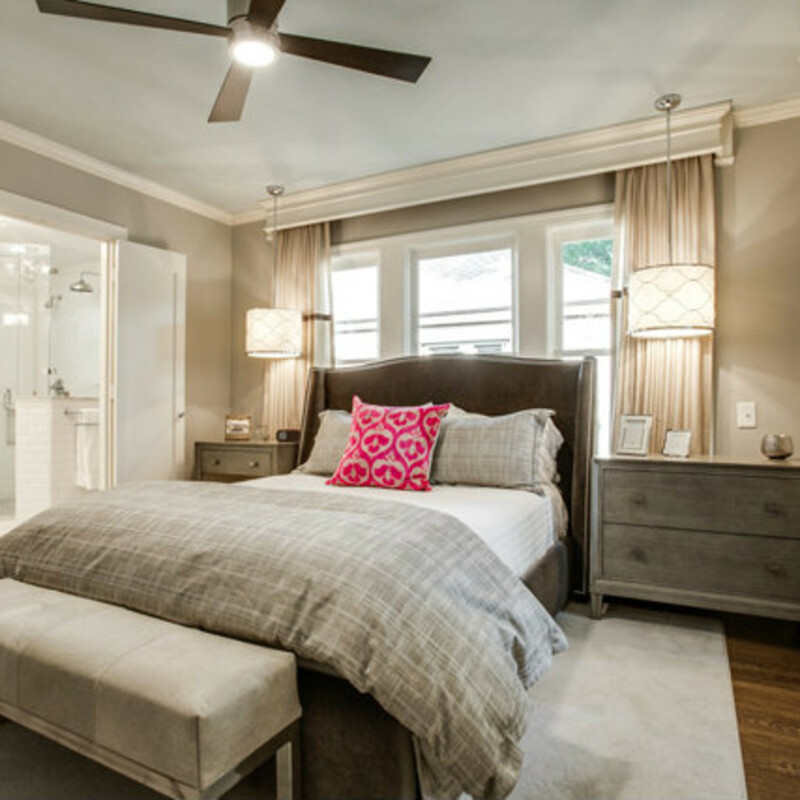 In the master bedroom, pendant fixtures on both sides of the bed leave the side tables clutter-free and add an elegant designer touch. 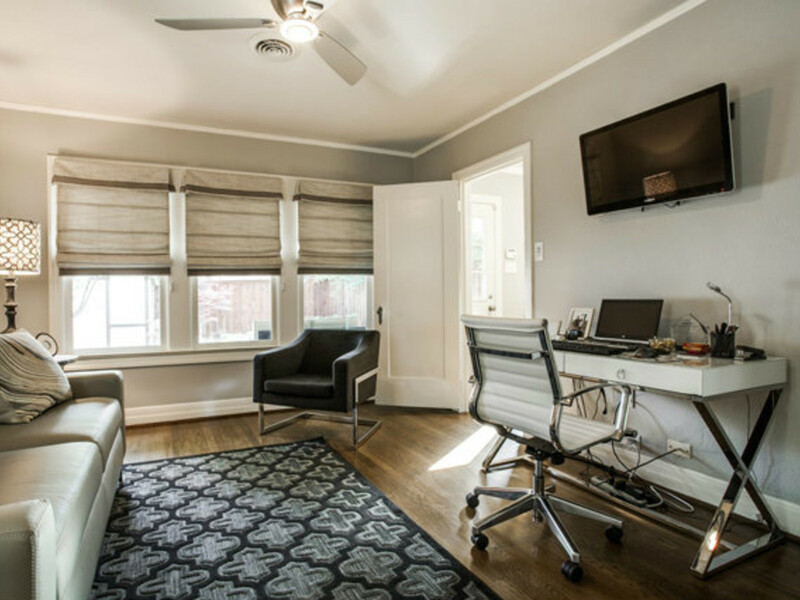 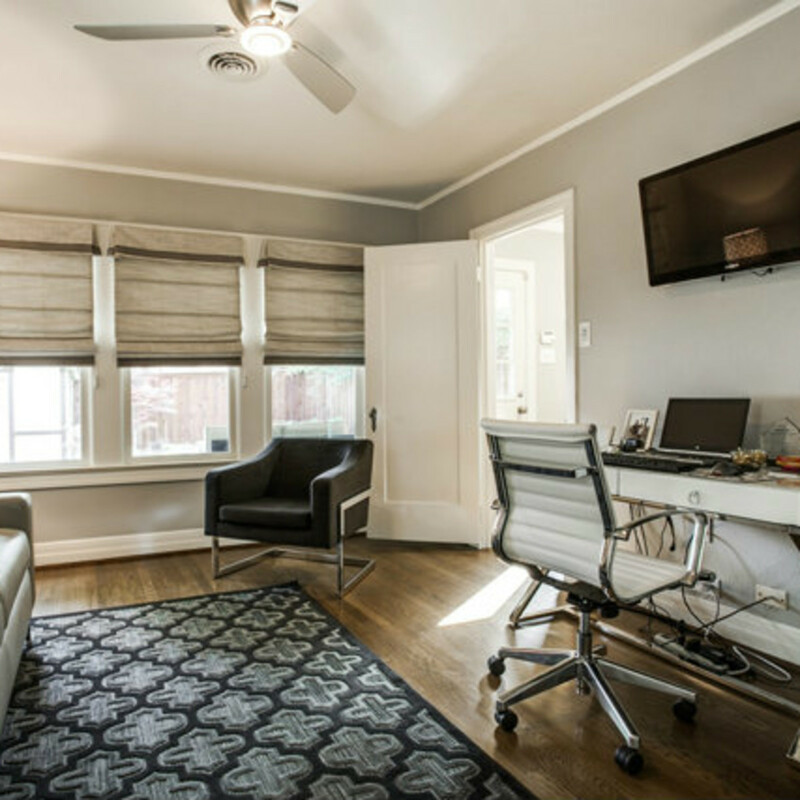 A second bedroom is just as cozy, and the third works well as an office. 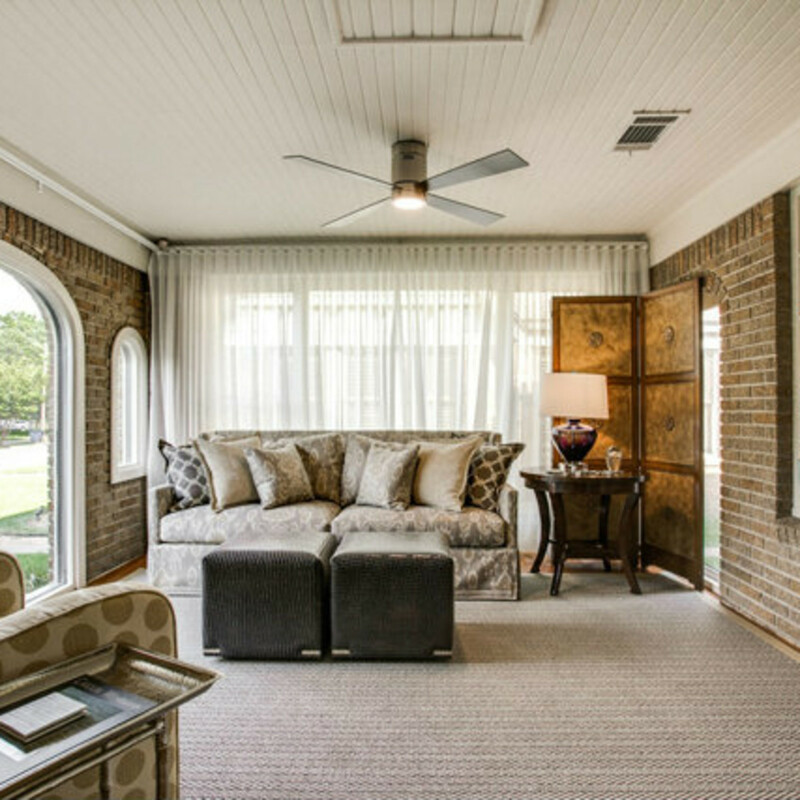 The living room connects to an enclosed sunroom with exposed brick wall. 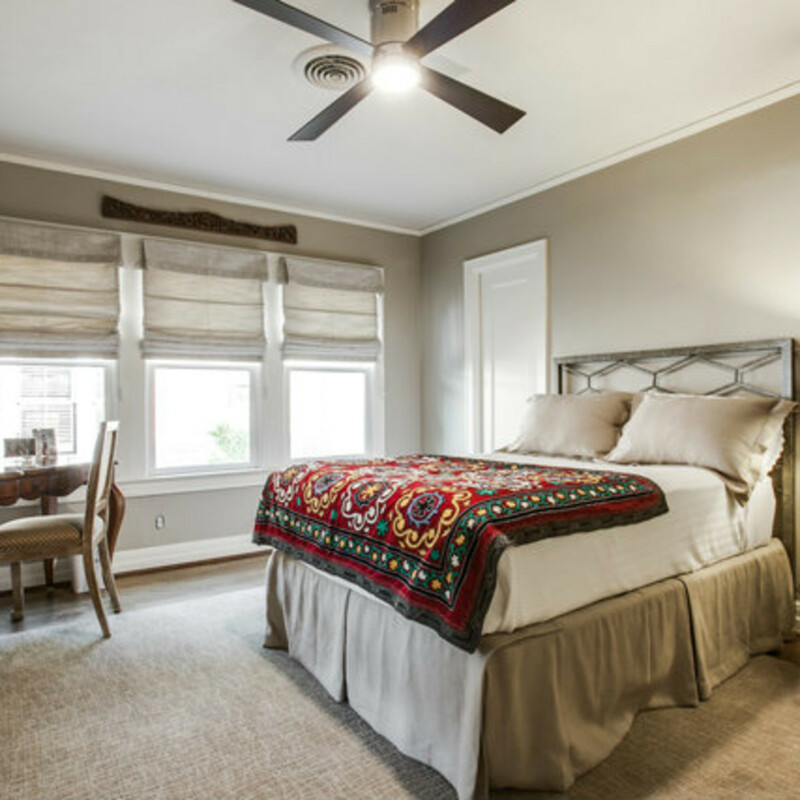 A built-in bookshelf was perhaps once an exterior window, but now this room provides much-needed extra living space. 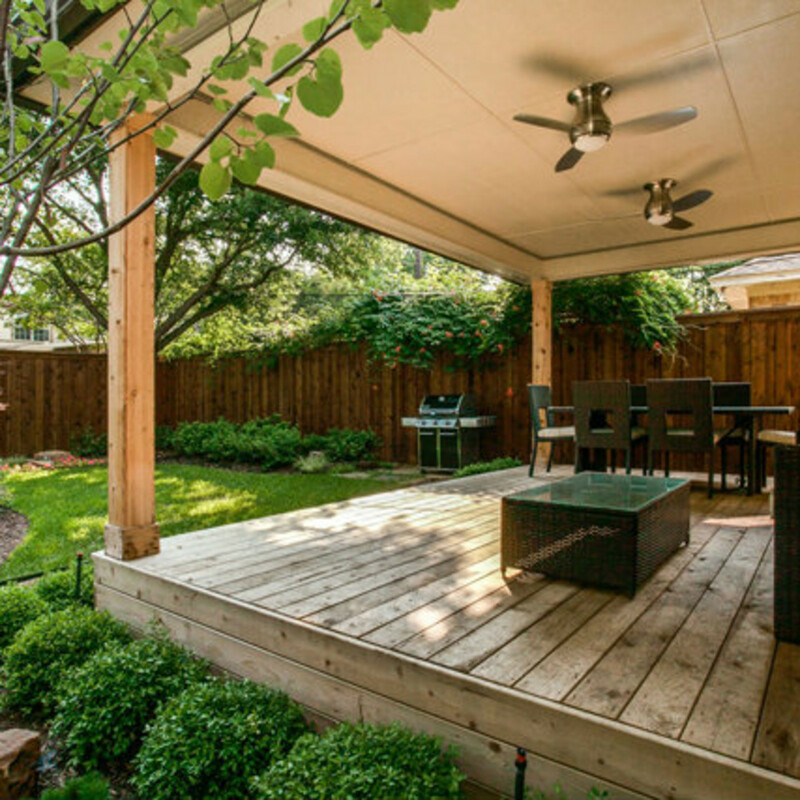 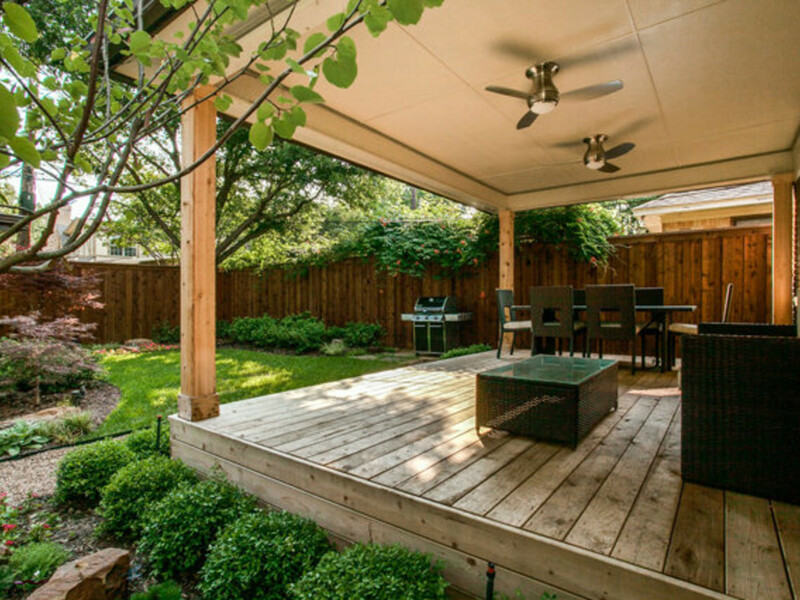 The backyard is equipped with a covered patio, and ceiling fans overhead keep it usable even in the warmer months. 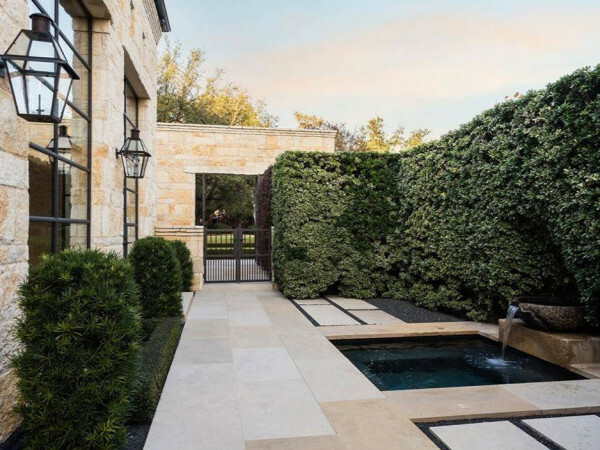 The pristine landscaping from the front continues in the back, with enough green space for children and pets to play.